Our first days on the trip have been pretty hectic. 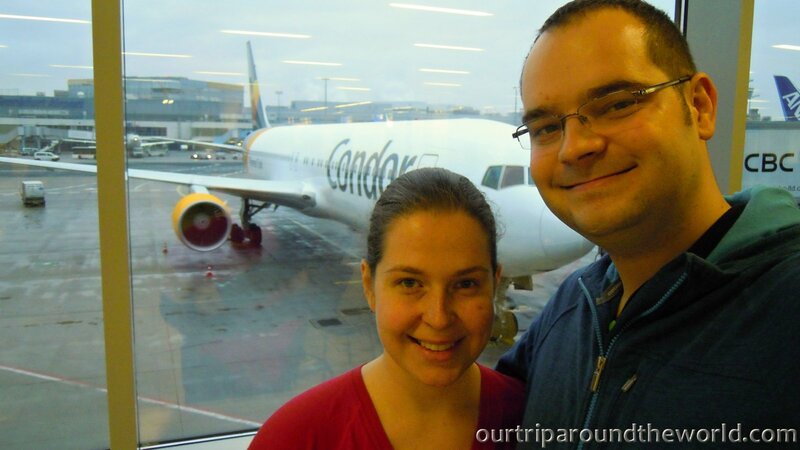 It all began with a journey to Frankfurt where we spent a short time before leaving to our first destination within our round the world trip. In the morning we started from Trutno located in the north-east of Bohemia in the Giant Mountains. The snow was falling all night so the road was quite hurdle. But after 2,5 hours we reached Prague. There we met with the rest of the family and several friends. Saying goodbye was really weird. But we were not going for two weeks holiday. But finally we got on the bus to Germany. Couchsurfing is a super thing to do and we truly recommend everyone who hasn’t heard or has heard but is not able to move on to become a part of this community. Sun cook a very delicious indian meal for us, tol dus so many interesting things and we really enjoy our short stay with him very much. The other day we headed to our second CS Jochen. Originally we should have stayed both nights at his place but he had a small accident and broke his leg. Our meeting was abnormal. We picked Jochen up at the hospital and went with him to his apartment where we helped him a little bit. He had grotches so he wasn’t really able to do everything on his own. We would also like to give a big thanks to Jochen for accepting us in his difficult situation. Jochen is a big fan of public transportation like trams and buses made and operated in former Soviet Union countries. Waking up early in the morning and travelling to the airport. Everything was alright of course but the journey took unbelievable 18 hours where we spent 13 hours in the place. Well trans-atlantic flights are not easy but it is the fastest way how to get there. The biggest shock and surprise was definitely the climate change. From cca 2°C (35 °F) we got into a place with 40°C (104 °F). We felt like a chicken you get out of the freezer and put it to the microwave. A real massacre for us! After we bought something to eat we went in front of the airport hall to the taxi station. 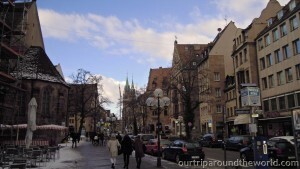 The language barrier was a problém for a while but then we made a deal for a fixed price 78 R$. We used a yellow taxi our Brazilian friends recommended. Never take taxi offers in the stalls nearby the carousel, they are overpriced. Travelling by taxi in Rio is an adventure. There comes a shock number 2. The driver look like 80 years old and our speed never got lower than 80 km/h. Maybe it all seemed so hectic because of our fatigue. But we finally got back to our accommodation. In Rio we stay via Airbnb at the elder lady that advises us and helps us with everything we need. Our accommodation if very nice and on a perfect place and reasonable price. Making a reservation in advance paid off. 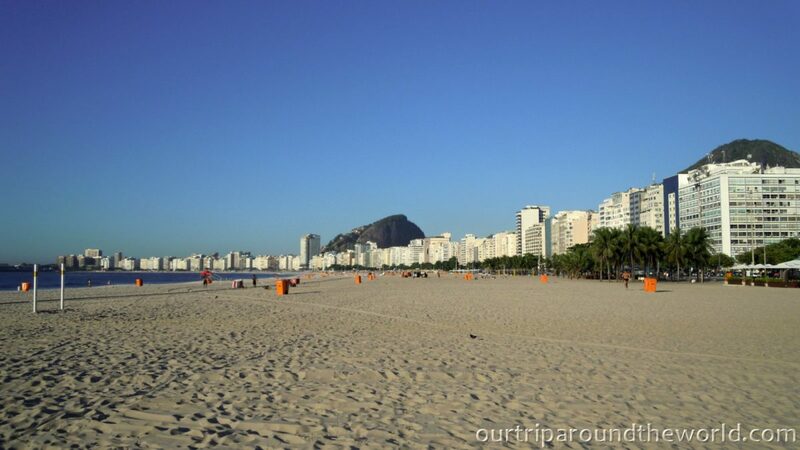 It’s only 200 m to one of the most famous beaches in the world Copacabana. 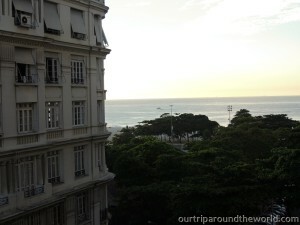 If you are looking for a nice and cheap place to stay in Rio for sure consider staying at Ruth. We can recommend this place. We’ve been here for two days only but managed to do and see many attractions and things. 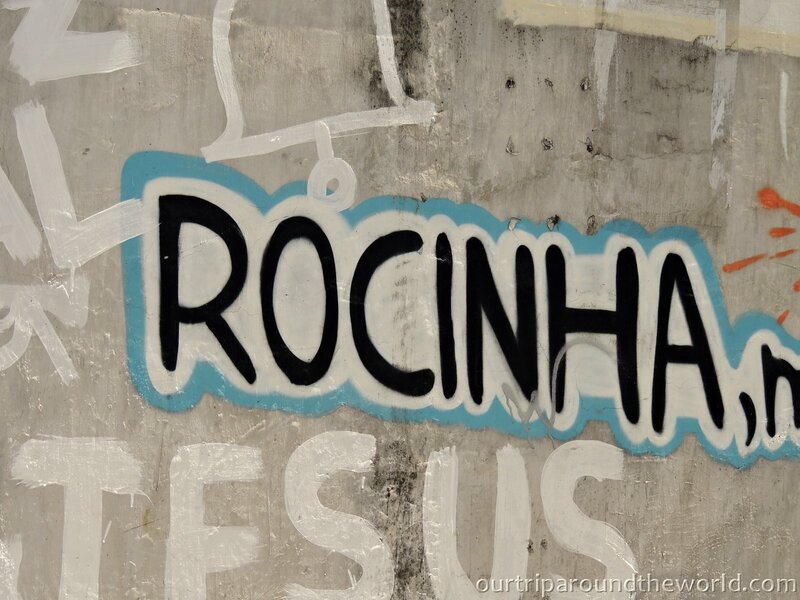 We went twice on the beach, made a trip to favela Rocinha, visited local fruit market, had traditional brazilian Feijoada and gained knowledge on a local Free Tour from an interesting girl who gave up on her career and now guides people around the city. Rio has mesmerized us, it is full of colors, temperament and surprisingly is far safer than we expected. Soon we’ll perhaps feel like local Cariocas. But maybe after we enjoy carnival in Rio first. And if you want to see what we’ve visited, watch our photos in Rio. So you had a real adventurous journey from my home to Ruth´s in Rio! Never expected money withdraw at ATM being so complicared as they offer at least English language in most countries. Staying with me was a real great help for me that day when I came back home for hospital. By the way, it´s only the foot broken, not the whole leg :-). I am very grateful to all your real nice assistance that day. Meanwhile I can extend my crotch walk journey up to around 500 m or some more, if I am in a good mood and take long enough brakes before heading back home and en route back. 🙂 Day mood is controlled by other parts of my body, if they complain about strenghtening them to much instead of my right foot I usually would do.